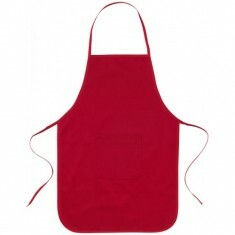 Protect your clothes and catch any spills and splashes in the kitchen with our Promotional Aprons. 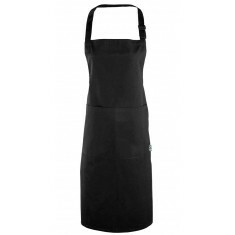 Our range of custom printed aprons are perfect for any restaurant, chefs or event workshops, and ensure your clothes stay clean whilst promoting your brand. These personalised aprons are available in a range of colours, sizes and styles to suit your needs, and are even available in children’s sizes ensuring any paint covered hands stay away from clothes. Whether baking, painting or cooking, you can make as much mess as you like whilst wearing one of our customised aprons to keep clean. 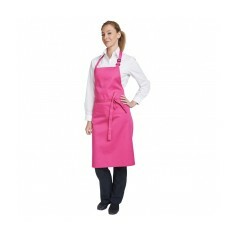 A great apron from our range is our “COLOURS” Bib Apron, which is available in a huge range of bright and stylish colours. This apron can be embroidered for a really smart finish, or printed with your design to make this truly customised to your brand. The sliding adjustable buckle offers a comfortable fit, and the 90cm fabric ties ensure it stays in one place to catch any spills. This item has a quick turnaround time, making it a great item for any event. 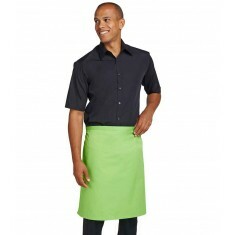 Whether as part of a uniform, or for a one off event, our aprons are a great quality item that are practical and give a smart impression. One size only. Adjustable buckle. Great colour range. Custom printed or embroidered. 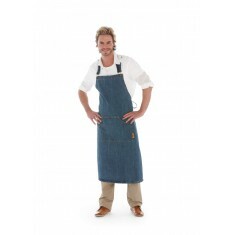 A brilliant value 100% cotton apron with handy front pocket and adjustable nec..
Keep your staff clean and smart with our customised Dennys Waist Apron. Made f.. Fabric neck tie & adjustable buckle. 100% polyester. Quick dry. 37 colour choices. 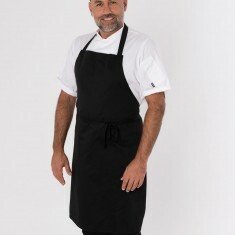 Short style bar apron with 3 open pockets. One size. 65/35 poly/cotton. 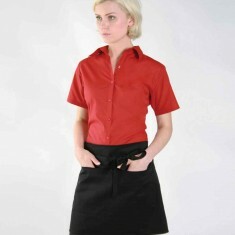 Availa..
Our Short Bar Apron comes complete with a handy front pocket. 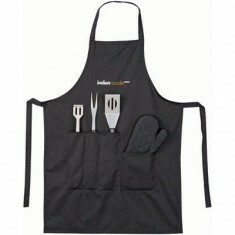 Perfect for staf..
Keep your staff looking smart in a personalised long continental style Bar Apr..
100% cotton apron with spatula, tongs, fork and glove. Be prepared to get messy at your next exhibition with our custom branded Fair..
100% cotton. 280gsm. Adjustable halter & anti tangle ties. 3 print areas available. 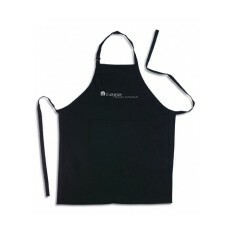 Protect your clothes and look the part in the kitchen with our custom printed ..